SIBU: The Associated Taxi Owners’ Association of Sarawak welcomes the government’s move to regulate e-hailing services towards ensuring a level playing field for Grab and taxi operators. 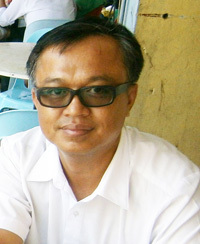 Its secretary Robert Angkah said the move would ensure the survival of the hard hit taxi industry. Thanking the government for throwing them a lifeline, Robert said the hard-pressed taxi operators can now look forward to better days ahead. He was commenting on Transport Minister Anthony Loke Siew Fook’s statement that e-hailing service providers are regulated by the government under the Land Public Transport (Amendment) Act 2017 and the Commercial Vehicle Licensing Board (Amendment) Act 2017 starting yesterday. Loke also reportedly said all e-hailing companies must register with the Land Public Transport Commission (SPAD) as mediation business and would have to pay an annual fee of RM115, similar to taxi drivers. The move was also in line with the taxi industry that involved conditions to apply for licence; conditions for vehicles; conditions for driver worthiness and conditions for operations. Robert recalled previously e-hailing service operators were not subject to half-yearly testing of their vehicles, annual permit renewal, standardised rate and medical check-up among other things, which had put taxi drivers at a disadvantage. “Our sincere gratitude to the minister as this is something that we have been waiting for all this while. Taxi operators’ livelihood has been adversely affected ever since the legalisation of the e-hailing service by the previous administration. Such unfair treatment had made it hard for us to make ends meet. “For the record, we need to fork out RM500 for testing of our vehicles every six months to keep them in tip-top condition. Add to other miscellaneous expenses, we need to come up with about RM1,000 a year and this is burning a hole in our pocket. To us, safety of our passengers tops the list of our priorities,” he pointed out. “On the other hand, e-hailing operators were previously not subjected to stringent safety requirements like taxis – undergoing half yearly inspection to determine the vehicles’ roadworthiness. Hence, they were able to charge lower fares due to lower operating cost,” added Robert. Meanwhile, touching on the conditions for licence application, Loke reportedly said e-hailing companies need to register with the Companies Commission of Malaysia (SSM) and the Cooperative Commission of Malaysia (SKM).